All of the artwork here is the property of the artist (Natalie Raevsky) and her client who commissioned the illustration. Do not replicate or produce without written consent. Written and Illustrated by Natalie Raevsky, 2016. Nonfiction book with small excerpts that teach about food and patterns. After being tired of eating the same sandwiches everyday, the reader goes through the alphabet and learns all about new foods (and patterns). All illustrations are created without red or green- specifically for colorblind children! This book is in the final editing phase and will be available for purchase soon. Please contact me to order your copy. This simple book teaches children patterns and then empowers them to identify those patterns in their everyday life. Created with two parts, the first part describes the patters and describes two samples. The second part shows illustrations of things they may see in their everyday lives, and asks them to identify the pattern hidden in plain sight. Illustrated by Natalie Raevsky, 2013. A children's-eqsue short story about a potential future full of fictional technology that should exist. Two characters comprise the plot and story - The General and Clairen. Purchase the book on blurb here. Written by Andrew LaHart, Illustrated by Natalie Raevsky, 2009. 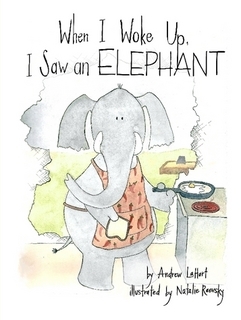 A young boy wakes up to find a messy elephant has come to visit his home. They play all sorts of ways, and become great friends. Purchase the book on lulu here. 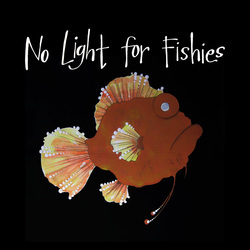 Natalie has made numerous other illustrations for many productions, such as CD covers, logos, poster designs, and potential books that have not been published yet. All rights reserved. Natalie Raevsky. All images on this website, including but not limited to images of artwork, the artist's life, illustrations, or invitation designs, may not be reproduced without artist's written permission. "Pin"ing my photos to Pinterest is permissible, just use courtesy.